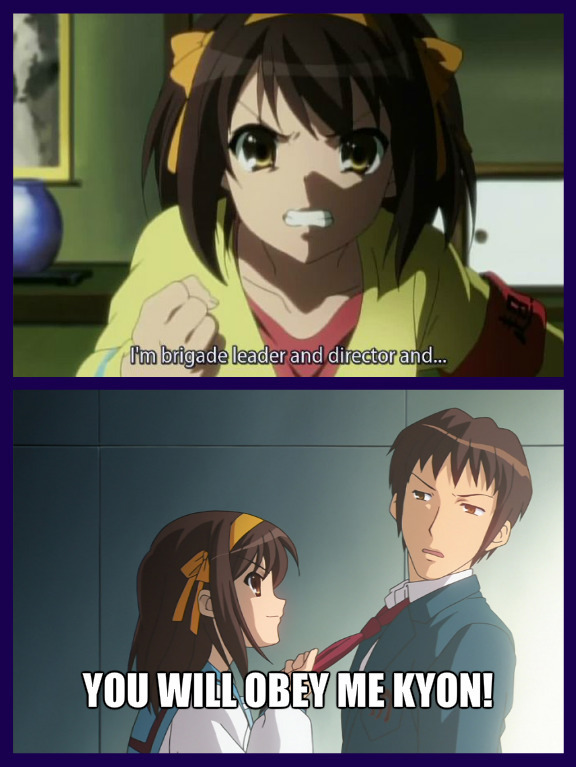 The Melancholy of Haruhi Suzumiya. Haruhi Suzumiya: You will obey you're SOS brigade Leader,or else i will spank you hard! Kyon: Sigh,not again! This chick girl is out of control. (FACEPALM). HD Wallpaper and background images in the Anime club tagged: the melancholy of haruhi suzumiya kyon.